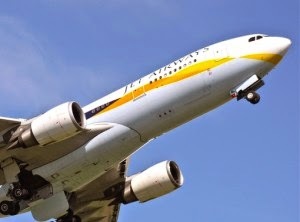 Jet Airways is launching its first ever international services from four regional Indian hubs – Ahmedabad, Goa, Lucknow and Pune. In a major expansion plan, the Indian airline will capitalise on its partnership with Etihad Airways by launching brand new routes to Abu Dhabi from the four Indian hubs. Direct flights to Abu Dhabi from Ahmedabad, Goa, Lucknow and Pune all start on 14 November 2014. And from Abu Dhabi, travellers from these Indian regions will be able to connect to multiple global cities via Etihad’s network. “It is indeed a proud moment for us at Jet Airways to be introducing our maiden international flights from Ahmedabad, Goa, Lucknow and Pune to Abu Dhabi,” said Gaurang Shetty, Jet’s senior vice president of commercial. “Guests travelling to Abu Dhabi will now have multiple options to travel to destinations of their choice to North America, Europe, Africa and Middle East in a seamless manner with our strategic partner Etihad Airways and other interline partners. “This is truly an indication of the strong demand from the smaller metros and linking up more cities with international destinations apart from giving a boost to trade and tourism besides providing job opportunities,” he added. The Ahmedabad-Abu Dhabi flights will depart the Gujarat city at 2005, while the service from Lucknow, the capital of Uttar Pradesh, will leave at 1915, and the Goa flight will depart at 0520. The timings of the Pune-Abu Dhabi services are yet-to-be-decided. The new routes will add to Jet’s extensive network to and from Abu Dhabi. The airline currently links the UAE capital with Delhi, Kochi, Chennai, Bengaluru, Hyderabad and Mumbai.